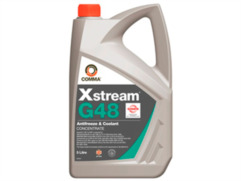 Ethylene glycol based anti-freeze & coolant, helping to protect your car from corrosion, freezing and overheating. Comma Oil & Chemicals LTD is a world renowned manufacturer and provider of lubricants, chemicals and ancillaries to the automotive industry. Comma manufacture products for various types of vehicle, including, passenger vehicles, light commercial and heavy goods vehicles.